In the early startup phases, new businesses from the scientific community, in particular, are mostly dependent on public funding. Our Startup Office will help you to choose a suitable programme and to submit an application both in the correct form and on time. As a startup network, we play a role in assessing your new business project. Startups and spin-offs that are growing must consider possible means of financing. We will help you to choose suitable investors. If you wish, we will try in advance to establish if your startup project is a good match with the investor’s portfolio. Pitching and matching events offer further opportunities to get to know potential investors and to convince them about the merits of your startup project. Heidelberg Startup Partners e.V. maintains a network of diverse venture capitalists. Regardless of whether private investor, venture capital enterprise or corporate fund, we will identify suitable investors and help you make contact with them. The European market is becoming ever more integrated. That is why young entrepreneurs get acquainted at an early stage with the market practices of other European countries. These are best learned by doing an internship with a company in another European state. The Erasmus for Young Entrepreneurs programme offers the opportunity to spend time on one or more occasion at a company based in another European country. Each of those stays must be at least for one week and all of them must take place within no more than one year. During the time spent at the host company, the participants are given tasks so that they can learn in a normal business environment. The young entrepreneurs are awarded travel expenses and a daily allowance that varies from country to country. This means they are not subject to any additional financial burden. General information about this EU programme is available here. The contact person for entrepreneurs from Baden-Württemberg can be found here. Business advice vouchers allow entrepreneurs to receive low-cost and unbureaucratic advice from experts. In this way, they are assured of receiving intensive supervision over all decision-making and organizational processes during the startup phase. An experienced coach helps young entrepreneurs, especially in the initial phase, in many diverse ways. He can assume a wide range of tasks – from advice about business plans through securing funds to pitch training. We recommend that every entrepreneur avail himself of professional support. The first (trial) appointment is free and the Startup Office will be happy to make the necessary arrangements. There is no obligation to commit to any further appointments. The vouchers can be used for 10 appointments; they lower the cost of a coach from some €1,000 to less than €200 a day. You can find further information about this programme of the Baden-Württemberg Ministry for the Economy and Finances on the web-pages of ifex. The EXIST Research Transfer programme supports outstanding research-oriented startup projects that have links to expensive and high-risk development work. It consists of two phases. In the first phase, the economic and technical usefulness of the scientific work is established and further developed as well as preparations made for the founding of the company. In the second phase, the focus is on launching business operations and securing external follow-on financing of the company. Support is conditional on the transfer of scientific know-how to the company. As a rule, this means that during the period in which support is provided, the scientist is required to devote all his energies to the project. Besides scientific expertise, the team must be able to demonstrate business skills, which should be an integral part of the team. At the initial stage of preparing to submit an application, possible patent law-related questions must be discussed and clarified with the employer’s technology transfer units. There are two stages to the application procedure. In the first stage, a project description is drawn up and evaluated by experts. The written proposal covers the main aspects of the description of the product, the market and the team. In the event of a positive evaluation of the proposal, the project leader receives an invitation to present his project to a jury. Thereafter, the final decision is made about whether to grant approval. In all, three scientific positions and one post for a business expert can be applied for under the EXIST Research Transfer programme. These are paid as scientific workers in accordance with the collective wage agreement for civil servants of the federal states (TV-L). In addition, equipment worth up to €250,000 can be applied for. The first phase of the research transfer is limited to 24 months. In well-founded individual cases, an application can be made for an extension. Once the 24 month-period is over, participants can apply for a second stage of the research transfer programme, which foresees the market entry of the product. This stage provides for another 18 months of funding and up to €150,000. In the second stage, the company receiving support must itself make a 25% contribution – that is, up to €50,000. A positive evaluation of the first phase by the project promoter is a prerequisite for the extension. The closing dates for the submission of applications for the EXIST Research Transfer are 31 January and 31 July of each year. Funding can be expected to begin half a year later. Further information about this funding instrument of the Federal Ministry for the Economy can be found on the web-pages of EXIST. The EXIST Business Startup Grant is aimed at university graduates as well as scientists from universities and research institutes who would like to turn their startup idea into a business plan. Students who have completed at least half their studies by the time of applying are also supported by the fund. Teams composed solely of students will be funded only in exceptional cases. An innovative technology-oriented or knowledge-based project that has good prospects of commercial success is the prerequisite for receiving an EXIST Business Startup grant. At the same time, a research transfer should take place from the undergraduate or scientific work of the applicant. For each application, the innovativeness of the project along with the market and the team will be judged in particular. At the preliminary stage, the advisers, together with the EXIST project promoter, assess the chances of the project proposal succeeding. The application itself provides a comprehensive description of those aspects of the planned startup that are to be evaluated and includes many of the components of a business plan. As a rule, an application is between 20 and 30 sides long and requires several weeks‘ work. The Business Startup Grant provides a team of up to three members with a monthly grant for a maximum of 12 months. The size of the grant depends on the level of academic qualification: those with doctorates receive €3,000, while university graduates receive €2,500 and students €1,000. In addition, applications can be made for funds for equipment and coaching totalling €30,000. Applications for the EXIST Business Startup Grant can be submitted at any time. It takes some three months for the application to be processed. Further information about this funding instrument of the Federal Ministry for the Economy can be found on the web-pages of EXIST. The GO-Bio funding initiative is aimed at scientists working in the field of life sciences who want to turn research findings that have a strong commercial and clinical innovation potential into a concrete product. GO-Bio complements other startup-related funding initiatives by catering for the specific needs of the life sciences (long development period, significant financial needs, high risk). Funding can be provided for a total of up to four years; after the first two years, progress is evaluated and a decision taken about whether to continue to provide funding. A total of €2.5 million can be applied for within any funding period. During the first two years of funding, a proof of concept for the new product is to be drawn up and a business plan developed. In the second phase, the first clinical studies are undertaken and the marketing of the new product launched. To carry out the research, an own work group can be formed within the research institute. Up to 10 people can receive funding, including those responsible for business development. In addition, funds are available for equipment, coaching and travel. Applications for GO-Bio grants can be submitted every 18 months – the next closing date for applications is likely to be in January 2017. There are two stages to the application process. To begin with, a project draft around 10 pages long must be submitted. This document must include the most important components of a business plan, such as the description of the product, the market, competitors and the team. In the second stage, a full application is submitted and the project presented to a jury, which decides whether to grant approval. Further information about this programme of the Federal Ministry for Research and Development can be found on the web-pages of the Federal Ministry for Education and Research (BMBF). The complexity of the economy, the ever-faster innovation cycles and the cost of raw and other materials pose significant challenges for small and medium-sized enterprises The development of innovative products and processes as well as the improvement of natural resource and material efficiency are success factors. However, there is frequently neither enough time nor sufficient manpower to keep up with the latest developments in technology, management methods and process design. In such cases, the need for advice arises. You can benefit from the Federal Ministry for the Economy and Technology (BMWi) innovation vouchers (go-Inno), which cover 50 per cent of the cost of external advice from advisory companies authorized by the BMWi. Your company pays only its contribution. There is no application process. Only established firms are eligible to apply. Applications can be submitted for three different phases: for a potential analysis, up to 10 days and €5,500 are available; for a realization concept, 25 days and €13,750; and for project management, 15 days and €8,250. The State of Baden-Württemberg awards innovation vouchers to small and medium-sized enterprises so that they can strengthen both their innovation capability and orientation towards growth. To this end, companies receive funding for the planning, development and realization of new products or services or for the improvement of those processes. In this way, innovation vouchers help young companies to make use of external research and development services that they themselves cannot afford. Through the innovation vouchers, up to 80% of the cost of a development contract can be reimbursed. Besides small and medium-sized enterprises, startups which will be located in Baden-Württemberg are eligible to apply. However, the new businesses must be officially established no later than at the time of receiving the vouchers. There are four separate innovation vouchers, each of which sets different conditions and provides different amounts of funding. 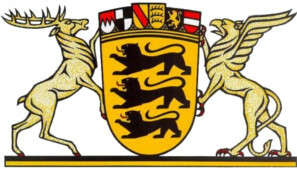 Further information can be found on the website of the State of Baden-Württemberg. The aim of the Young Innovators programme is to help young entrepreneurial teams from universities and research institutes outside academia to set up on their own in order to manufacture and market innovative products or processes. It is targeted at entrepreneurs who have already developed their idea into a business plan and are about to launch their product onto the market. In this way, the programme offers the opportunity to secure follow-on funding once an EXIST Business Startup Grant has expired. The programme aims to offer an alternative to dependent employment and at the same time promote the transfer of technology and/or know-how from academia to the economy. Its focus is on particularly promising areas such as optoelectronics, biotechnology, medical technology, solar technology, automation technology and mechatronics. Only new businesses that promote innovative and knowledge-based products or processes are eligible for funding. The further development of already existing products is not supported by the programme. Up to three entrepreneurs per team receive funding under a two-year grant. The amount of funding is based on a half-position at Level 13 of the collective wage agreement for civil servants of the federal states (TV-L). Furthermore, the teams receive funding of up to €20,000 for equipment and €5,000 for coaching. Those funds do not have to be repaid after the expiry of the grant. An application for the Young Innovators programme must be submitted during the month of July in any year. Funding begins on 1 January of the following year. Further information about this programme can be found on the web-pages of the Baden-Württemberg Ministry for the Economy and Finance. The KfW Startup Coaching in Germany programme offers funding of up to €3,000 to young companies. Only already established firms are eligible for support. You choose an accredited coach, obtain the consent of the KfW to use his/her services and have up to 50% of your costs reimbursed. This funding can, in principle, be combined with other grants. Applications can be made up to five years after the company was established. Further information about the Startup Coaching in Germany programme is available from the KfW. The funding initiative SIGNO of the Federal Ministry for the Economy and Technology (BMWi) helps universities, small and medium-sized enterprises as well as independent inventors to ensure the legal protection and commercial realization of their innovative ideas. SIGNO covers three different funding activities: SIGNO University, SIGNO Company and SIGNO Inventor. The SIGNO University initiative includes SIGNO Realization Funding, which offers the opportunity to apply for funds to further develop and prove the functional capability and/or technical feasibility of patented R&D findings. This initiative is aimed at scientists who want to further develop and commercialize their findings together with a small or medium-sized enterprise (SME). The company must be prepared to bear at least 30% of the development costs. A subsidy covering the other 70% – which, however, may not exceed €42,000 – can be applied for. In the case of the (further) development of scientific findings of research outfits, it is necessary to take into account the patent situation. For this reason, the technology transfer unit must be contacted so that such questions can be clarified before the application is submitted. Further information about this programme can be found on the BMWi web-pages. The Central Innovation Programme for SMEs (ZIM) supports small and medium-sized enterprises in the development of new products, processes or technical services. These must surpass the latest technology and improve the company’s competitiveness. Under a ZIM individual project, research is carried out by a single SME. Up to €350,000 in non-refundable subsidies can be applied for, but the grant may not exceed 40% of the total funds. Research cooperation between companies and research institutes or between several companies can receive funding under a ZIM cooperation project. There is no upper limit on the number of participants. Companies can apply for up to €350,000 for any single project, but the grant may not exceed 45% of the total funds. Research institutes can apply for 100% funding of costs totalling €175,000. When research findings have been turned into a new product, funding for support and advisory services of up to €50,000 can be applied for in order to launch the product onto the market. The grant may not exceed 50% of the funds used for this purpose.